1. Which will we continue to use, and purchase the next levels and/or more materials from? 2. Which did we really learn from? 3. Which fits our style of homeschooling? 4. Appropriate material for grade/age levels, and can it be used with varying age levels? 7. The kids ask to do this!!! 9. My fierce admiration for motivated and dedicated individuals who create outstanding programs to fill a void in their own homeschools, then graciously share their talents with the rest of us!! 10. I will tell everyone I know about this!! Much as I tried, I couldn’t choose places for my top eleven, so there’s no particular order. My "Honorable Mentions" include my favorite homeschool "helps". *The Old Schoolhouse Magazine -I’ve subscribed to TOS magazine since my very first month I began homeschooling, and just couldn’t live without it. I absolutely LOVE the digital format, and will have a truly difficult time trying to decide between digital and hardcopy when the time comes to renew. The little brown and pink totebag is the my most FAVORITE extra I received this voyage and is all but worn out already, LOL. The planner modules I reviewed are such a fun and cool addition to our extra list as well. TOS ROCKS!! So that about wraps it up for me. One last time- Enjoy your kids!! 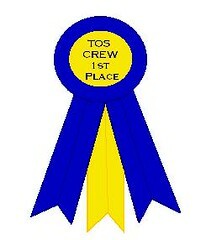 Categories: TOS Crew Reviews 08 09 | Permalink. Although I’m not a classical educator, I have been interested in some aspects of the Classical Christian Education philosophy. Memoria Press has pretty much everything one needs to familiarize, understand, and choose appropriate and quality materials for a classical approach to education. There are abundant resources, articles, FAQ, a newsletter, and catalogue on the Memoria Press website , as well as a forum with endless support and insight. Since our family is already using Bridge to Latin and has Latin Road in hand to continue with our Latin studies, we decided to look around at some of the other products. The Traditional Logic and Rhetoric looked very interesting, and something I have studied a little of in the past. The Traditional Logic 1 course we received consisted of the student text, teacher key, and dvd set. This course is very comprehensive, although really easy to use. It explains things very well, and the concepts are well laid out. From the website: "along with a basic understanding of the Christian theory of knowledge, the text presents the four kinds of logical statements, the four ways propositions can be opposed, the three ways in which they can be equivalent, and the seven rules for the validity of syllogisms." You can see a sample chapter, table of contents, and tour of features here. 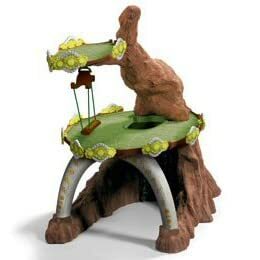 This set can be purchased for $68.95, or seperately without the dvd’s. For classical educators out there, I really can’t imagine a better or easier program than that offered by Memoria Press. For those that are not familiar with or would like to know more about classic education, Memoria Press would be the very best place to start. Since we already own four of the Famous Men series books, we chose to review the new Famous Men of Modern Times. We received the set including text, student guide, and teacher guide with key. This set is normally $52.85, but is currently $39.95. It is designed as a year-long workbook course, comprehensively covering the past 500 years. For a table of contents and sample page, click here. From the website: "each of the thirty workbook lessons includes famous quotes, a drill of key people and places, ten vocabulary words, 5-10 comprehension questions per lesson, and an activities section that includes map work, timelines, discussion questions, and art projects. The program also comes with plenty of supplemental exercises, including maps, a “Who Said That?” worksheet, and drawing pages. " My girls are not really interested in history as names and dates to memorize, but we do enjoy the Famous Men series as supplemental reading with our other history studies. These workbooks are well done, but are definitely "workbook" format for those who incorporate this type of learning into their homeschools. Memoria Press has really been a delightful end to my Crew voyage. They have helped me understand a whole new realm of learning philosophy, and brought some intriguing and challenging material our way. I will definitely recommend them to any and all classic educators, as well as those who enjoy learning about different learning methods, and, of course, those who are just looking for a good academic challenge. So, go think with your kids!! Well, here is where my voyage ends. While I’m a little sad, I feel very blessed to have had the priviledge to set sail on the very first TOS Homeschool Crew. As I’m putting my feet again on dry land, there are some new and excited voyagers getting ready to sail again. Stay tuned for more Crew reviews from a fresh new Crew in 2009-2010!! The first thing that drew me into Tapestry of Grace a few years back was, of course, the name. Who wouldn’t want to teach their children using a beautitul tapestry woven together with the grace and love of Jesus Christ? Upon visiting their website, I found the Somerville’s Lampstand Press, along with an awesome mission statement: "In ancient times, a lamp or torch was hung on a lamp stand so that its light could reach farther. As we write, select, and sell the best homeschooling products we can find, we seek to make your homeschooling path brighter and easier to find." This is another company founded and based on a homeschool family’s journey to excellence. Marcia Somerville has certainly been added to my list of hero homeschool moms, as everyone knows my fierce dedication and admiration for moms (and dads) who are ultimately dedicated to providing the very best education and training materials for the children they have been entrusted with (even when the very best is not yet out there). Tapestry of Grace was created in this very light of determination to not give up on providing the very best education for multi-level learners in the same household, and then graciously shared with the rest of the world. To begin with, let’s visit the three big ideas behind this multi-level, integrated, 4-year classics-based Christian curriculum. All of your children focus on the same main topics and learn together, though they study differently, and on different levels. Use the 12 years of school to their fullest, revisiting eras of history multiple times as your students mature, so that they can learn more each time. Study concurrent topics in different subjects such as history, literature, and art in a related way, enhancing retention and enjoyment. As I navigated this new territory, I was just amazed at the visually pleasing artistry of the products and website, and the clever way in which the Tapestry theme "weaves" together the many facets of the program. And there are…well…so very many facets to this program!! Now I must interject that I began this review by referencing my "finding" of Tapestry a few years back. At that time I did download a free sample of their very first year and unit to take a look into what it was all about. I found the many facets, nooks and crannies of this program to be both fabulous, and overhwhelming at the same time. My original look was really cut short by the fact that I just did not have the time or patience to grasp Tapestry in its entirety, or really even just the parts I needed to propel me forward into this meaty program because of the complexity of it all. This being said, you can imagine my excitment in finding out we were to review a unit of the new redesigned Digital Edition Tapestry of Grace!! This was my chance to dive in and really understand and grasp this intriguing program with some helpful insight from fellow crewmates; some who have already been using it, and some starting at the beginning just like me. For me, this review was among the most challenging, and definitely the most time consuming of any I’ve done so far. You see, as I began my journey with my girls sitting beside me to read through which unit we might enjoy studying, I found my eyes already strained from hours of searching their website. There is an unbelievable amount of helpful information there, including a whole community of support to give advice, ideas and answer questions as my crewmates did for me! I was very intrigued by the first three lessons, because my current history plan didn’t include these as individual subjects. Here is where I hope I don’t lose you completely. You see, this TOG was just mindboggling to grasp for me. Upon downloading the different components of the digital edition, (which I felt the instructions were really straight forward and I had no problems with…and now they’ve made it even simpler to use!) I began clicking around the different areas to see how it worked. First I read about the 4 different levels of study which coorespond to the Classical approach (lower grammar, upper grammar, dialect and rhetoric) and found I have one Upper Grammar and one dialect student. "Perfect," I thought! I can even test the multi-level intent of the program! So after getting familiar with the format and what there was to do, I began looking for the materials to use. Now this was where I hit a brick wall. We are currently residing in a small town where I had already discovered that the library was less than adequate, with no intralibrary loan as I had been accustomed to in larger libraries. I printed off the recommended and alternate book lists, and began my search. As I suspected, our local library had none of the books, so I searched many of the surrounding community libraries and found none of them either. I spent much time on the internet searching out the books on many websites, including the Lampstand Press bookstore ,but found it simply was not feasable for my family to purchase these resources. Next, I headed to our tried and true Half Price Bookstore, which has saved my homeschooling venture more times than I care to say. My daughters and I split up the list I had printed of Y1U2 recommended and alternative books and searched the shelves for the titles. I came up empty for any of the exact titles, but did find about three books I felt might work. This is where my TOG venture started it’s downward spiral. I am happy for the families who have unlimited funds to homeschool, and maybe I am a little bitter to be among the crowd who must shop the used boards to stay afloat, but for my family this curriculum is not in our budget. I have certainly done the math and agree that for a family with multiple levels who will be recycling this curriculum for the entirety of the children’s education at home it could be affordable, but for my situation is not (particularly without a good library from which to borrow the resources referred to sometimes by page number). And with the DE of this curriculum, you are not allowed to resell it, or buy it used. That cuts down on the value of the purchase price tremendously for me. I quickly found that the resources I had chosen, while they were pretty much the same subject material, really didn’t work with the program (two of the books were even the same titles by a different author!). Through conversing with fellow crewmates and perusing the TOG community forum, I did see several mention that they made a lot of substitutions, using whatever their library had available on the subject being studied. One person even stated that they had never spent a penny on materials. So I see this can be done, but I wouldn’t be the person to ask how, because it certainly didn’t work for me. I printed off the first two sections, filled in assignment charts for each child (which are really awesome resources by the way) left the books and bookmarked internet site resources I had found, and went through the weekly overview with the girls. We tried, but the whole thing just didn’t fit together for us. I will state that starting TOG with the Digital Edition or Y1U2 is not a good idea. For my dialectic student not already familiar with this program, reading about Hinduism and Buddism was a bit confusing without first prefacing the culture and beliefs as we did with Egypt. When we studied Egypt last year,I did a lot of research and praying on how to present Egypt in all of it’s darkness and death-oriented cultural beliefs before deciding on what to use, how to use it, and even whether to present it at all last year. In the same way, I feel this was not an appropriate way to present and study such controversial material. With a printed assignment list in hand, and literature resources we had found, what my daughter gleaned from her studies was more about the Hindu and Buddism belief system than the culture, geography or people. I believe had I been more familiar with the program that I could have geared it differently, but then I wouldn’t have been really using the program as presented. I am a firm believer that every program out there must be "tweeked" to fit each family, but to me the program should also be usable "as-is" , at least in the beginning stages. Now had we had the recommended books stacked beside us on the table to use, would we have had different results? Don’t know. Sorry. I do think my experience might have been different if our family would have started TOG at the very beginning Y1U1, having been used to the layout and materials before arriving here, and I would have been able to been more hands on in teaching the unit rather than presenting the material as semi-independent material from the get-go. Now in addition to the base program units and books to purchase ,TOG offers quite a lot of "extras". Our Crew was able to choose one "extra" to try out with our unit. I really want the Writing Aids, since myself and my girls have been using a few different writing programs and enjoy writing quite a bit. Okay, I’ll admit I’m the one who really loves writing and was hoping for a chance to go through a complete program. 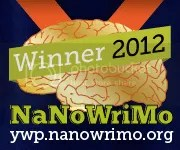 As several were interested in the writing aid, I did not get chosen to review it. Instead I recieved my second choice, which is called "Pop Quiz." Now this thing is really cool. It was designed so that Dad can be involved in knowing what the kids are learning. At our house, Dad is always quizzing the kids on what they did that day, but unfortunately has seemed to bring tears more than once, as Daddy really had no way of knowing exactly what they had covered and not. This is an audio CD that Dad can listen to summarizing what they are learning, and then cards with age-appropriate questions Dad can use to ask the "right" questions. Since TOG didn’t really work for us, Daddy never became involved to try this out, but I can certainly see how it would add a whole new realm to our learning. I really zoned in on Pop Quiz because it stated "A great tool for mom’s on the go". I will certainly agree with that. In my time-crunched situation, I do feel that Pop Quiz would be adequate for my teacher’s review of the material without having to sit at the computer and go through the pages of teacher’s notes. The many other supplements that go along with TOG just look awesome. For those whom TOG is working, I can imagine they would be wanting to add many of these neat resources to their program. Take a look at all the cool stuff they have to go with your TOG studies! *Too expensive for my family situation, especially since we couldn’t borrow any of the book resources from our library. For me, it’s just uneconomical to purchase the books, and the program itself can’t be used as a sole program without other resources for my family. I have yet to find any individual program that has everything I wish to teach in one place. I am used to using multiple resources together, and have some tried and true favorites. For me, TOG has some really great stuff, but as I would still be using some other beloved history resources with it, that makes the price of TOG out of the question. For those using it as an only-resource, however, it might fit into your budget better than mine. There are families out there for whom it does work as an only-resource with no other history resources necessary. **I was unable to use the program as written due to lack of resources it recommends, so that left me spending the time the program is suppose to save you finding alternate resources, then spending time trying to figure out how to make them fit in. To me, I was just creating my own history unit study following the TOG outline, which is quite confusing to follow until you get the hang of it. So my advice…find out which books you can’t borrow from your library, and then go ahead and order them. Don’t even start the program without the resources sitting in a stack on the table. Once you’re an old pro at TOG, then you might find yourself substituting resources, but I wouldn’t plan on that until you really get the hang of it. I guess I will add here in this section about having access to appropriate resources that the TOG "extras" would really make the whole program run smoothly. Again, another added expense, but for those with multi-level kids who will be using this over and over, the extras would certainly be worth the extra cost. ***I wouldn’t start using TOG with the Digital Edition only. For a beginner, I think it just adds confusion to an already overwhelming program. I would choose the print option so you can hold it in your hands and flip around to get a better feel for the program before trying to navigate it digitally. They do have many different options for printing the program, or you could just take your DE and have it printed yourself. But again, this adds quite a bit of cost to the program. The DE is really nice to have for printing out worksheets, schedules, and assignments for students, but again, you must have a working printer and add in the cost of the ink. ****I would start TOG at the beginning Year 1 Unit 1. They state you can start anywhere, but to me I think the beginning is best. Best part about that is…you can try it out for free. I would REALLY recommend you visit Egypt or Sail to the New World for a three week free trial before purchasing. Interested? *****TOG will certainly give your student a good grasp of history. It also covers church history, literature, geography, fine arts, government, philosophy, and writing & composition. Tapestry does not include a phonics program, science, math, grammar, spelling, or foreign language. TOG for me would be inserted into my history slot. Unless one is to purchase and use the TOG writing aids( which I really know nothing about because I wasn’t chosen to review them), I really don’t feel the writing and composition included in the program is adequate for the language arts I include in my homeschool. It would really take a significant chunk of time for me to teach the writing and grammar included in this program and make sure my girls were grasping the concepts. Again, I would basically be creating my own grammar and composition program if I used this outline. ******The TIME involved is completely insane for my family!! I can see *maybe* how if the initial investment of time to figure out and familiarize yourself with the program was progressing on into using the program that it might get less hectic, and take less time in preparations. But I never got past the hours upon hours of reading and putting it all together to run smoothly. (There is a phenomenon known at the "4-week fog" discussed over at the website.) Again, part of my problem is that I don’t have hours upon hours to sit at the computer putting it all together, or reading and learning it all myself to be able to teach it to my kids. I need something that they can do independently and I can easily review with them. Don’t get me wrong here, I do sit with my kids and learn with them a lot. But being gone from the home two days a week, I have limited time to actually sit and go through every little detail of what they are learning with them. One of my goals in homeschooling my children is to give them the skills to be independent learners. To know what to look up and where to look it up; to hunger for knowledge and be so inclined to feed themselves. My job is to help them figure out how to do so, and making sure they are getting adequate "nutrition". I enjoy learning right along beside them, but not learning it all myself then teaching it to them. That’s one of the public school methods were are trying to avoid here. As I study and read the TOG program, it looks like it certainly could work for independent study, but again, one would have to have the recommended resources available to begin with. The many pages of teacher’s notes just made me feel I must be familiar with all the facts and material myself, and that really just isn’t happening at my house. The way I know my kids are learning? They teach what they learned back to me. Well, there’s lots more to talk about with TOG, but at this point I feel I’ve covered the basics. I’m certainly not discouraging anyone from trying out and using this fabulous program. I will admit my many hours spent coming back again and again were because I soooo wanted it to work. I like Tapestry, its ideas, its philosophy, and certainly the story behind why it exists. I just couldn’t fit our round peg into its square hole. That doesn’t mean it won’t work for you, though. If you have a multi-level household, enjoy history, have some extra time to devote to the education of your kids, and a fairly adequate budget to devote to your children’s education, then this might just be the program for you. Best case senario? Book yourself into a hotel for a weekend (yep, you’ll need a good 2-3 days of reading to even get started!! ), take your laptop, and log on to Tapestry of Grace dot com. Even if you decide it’s not for you, I guarantee you’ll come away with some great encouragement and ideas. Now, I guess I’d better go find my kids, it’s aweful quiet out there after spending all these hours at the computer…. Our family has loved using Apologia Science for several years. I happened upon Jeannie Fulbright’s Young Explorer series while searching for astronomy at Morgan’s request the very first year we began homeschooling. We spent a year thoroughly enjoying Exploring Creation with Astronomy, and naturally moved on into Zoology 1, Flying Creatures of the Fifth Day the next year. We actually spent closer to three semesters on Zoology 1, because we explored many of the subjects and chapters in more depth. We started with the introduction, and then skipped to do the insects before the birds due to the season and area we were living at the time. I love the way these texts are layed out to be able to do them in any order you wish to fit your particular situation. Zoology 1 was really my first taste of complete success with homeschooling for Taylor (She was 6 when we started Zoo 1) . You see, she was a complete Bug-a-Phobe before we began, squealing and screaming, even bursting into tears, at the mere sight of a big fat tomatoe worm, or really anything of the creepy-crawly sort. She was reluctant to participate at first, but remembering the great experiments, notebooking assignments, and beautiful illustrations we did the year before in the Astronomy book, she agreed to try it out. She soon found out that the creepy-crawlies she had been so scared of were really just God’s creatures too, and He created each and every one to be unique and awesome in it’s own way. We did so many "extras" when we used this study, that will be lifelong memories. We attended a show called "BUGS" at the local planetarium played on the large 3-d screen on the ceiling that went along with the praying mantus and beetles we were studying. So many extras like this really provided an awesome learning experience. When we got to the bird section, then the bat section, we did many hands-on projects as well. I love the notebooking approach with science, because they love having the notebooks they made to look back at and show friends and relatives. We finished up Zoology 2:Swimming Creatures this year with much enthusiasm, as Taylor has always been interested in marine science, and still says she wants to be a Marine Biologist or Vet. She continually uses the book to look back on for reference, so I’m not sure we can say we really "finished" it, LOL. 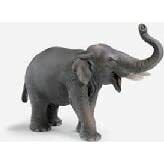 We will be beginning Zoology 3: Land Animals of the 6th Day after we are finished up with our TOS Crew projects. Can’t wait, it looks awesome! Two years ago I bought an Apologia General Science set when Morgan was wanting "more" from science. She began, but the textbook approach was not quite what she needed at her age (she was 9 or 10 at the time.) So, we decided to put it aside and just enjoy the Elementary Apologia books until a later time. We were really excited when we received the newest edition of General Science to review! She really enjoyed starting in it again, but this time it seemed to really work for her. She enjoyed going through the history of science, learning a little about ancient times, and many early scientists and their theories. Module 2 covered Scientific Inquiry, which she already had a pretty good handle on, though this presented a few new ideas for her. She is currently working in Module 4 which is all about physics: simple machines, levers, wedges, etc. I didn’t know if she would be so interested in this, but she really loves the way this book presents and explains concepts. The quality of illustrations and text is awesome. You can purchase a multi-media companion cd to compliment the Apologia studies, and we do have the General Science one and love it. Apologia is definitely our choice for science, and I have recommended it to everyone I know in the homeschool community! I have collected many of the upper level courses already in anticipation of using them later, and have looked through them myself. 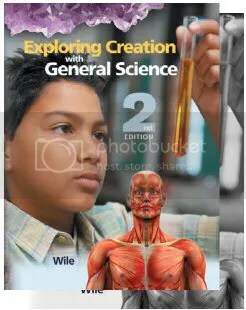 You can purchase a General Science set for $85.00 on Apologia’s website along with some extras for the study. You can also see sample modules, lab equipment and table of contents there. 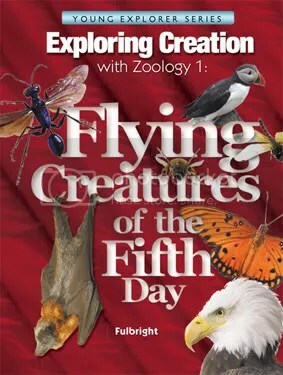 You can purchase the Zoology 1, Flying Creatures of the Fifth Day for $35.00 on the Apologia website along with the other elementary series. Included in the Elementary books are "book extras" on the website where you can access numerous resources including websites, articles, pictures, etc for each chapter you are studying. 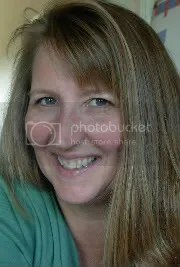 Jeannie Fulbright, author of the Elementary Apologia series, also has an awesome website full of information here, as well as a great yahoo group which discusses using the books. I can’t imagine science without Apologia. Go learn some science with your kids!! More than just memorizing facts, it’s REAL HIStory!! Do you know the two most important questions in life? Michelle Miller has used these Big 2 Beliefs as the basis to develop a phenominal history program. She says, "It’s fine to learn a lot of facts, but it’s much better to dig for the really influential factors-what did (this particular group of people) believe about the two most important questions in life?" With Truthquest history, you will be focusing on what each culture believed about God (or their own gods) and how those beliefs determined the value placed on mankind, because it’s those Big 2 Beliefs that forge the foundation -whether weak or strong- for any civilization. I might as well go ahead and say that history was on the bottom of my list of favorite subjects. I just never saw the point of memorizing dates and times and names. Unfortunately, that’s the way history was presented to me, and until I happened upon Michelle’s rich and intriguing website 5 years ago when we started homeschooling, I never understood why anyone would want to waste their time studying history. Once Michelle helped me realize that not only was my idea of history wrong, but my defintion was wrong as well, I felt as if my blind eyes had been opened for the first time and I was seeing a bright and beautiful world standing before me! Not only was I overwhelmed to make this discovery for myself, but I was truly overjoyed that my children would be spared the boring (dead) details and learning HIStory in a "real" way that they can be excited about. So how does Truthquest work? Well, in each chronological guide, Michelle introduces a topic with a lively and rich commentary which will give insight and context to further literature study from books that you choose. She includes an enormous reading list to give you a seemingly never-ending list of rich resources to choose from. She specifically states that you are not to read every book on the list, but the list is so extensive to try and give you enough resources that you might not be discouraged because you can’t find a certain book. I know for me one of the most frustrating things about other programs I have tried is the inability to find the materials recommended or referred to. A HUGE plus of Truthquest is that you WILL be able to find resources to use. So are there questions or tests included so you can determine what your child is learning? Well, Michelle says you won’t need any tests to show that your kids are learning: they’ll be living what they learn, playing what they learn, talking what they learn, and praying what they learn! When I read this, I almost got tears in my eyes. That is the very criteria that I use to choose learning material for my kids! I have commented on this very thing time and time again with my kids from the very beginning of their little lives. This being said, included with the commentary and reading selections are "Thinkwrite" exercises. These are strategically placed throughout the manual to help students apply the Big 2 Beliefs to their reading. As they are reading through their chosen literature, they will be answering these questions for the specific people they are studying. Michelle includes her very insightful and knowledgable responses to these exercises to assist in guiding meaningful discussions and explorations. We were blessed with the Ancient Egypt & Ancient Greece manual. When our manual arrived in the mail, I refreshed myself by reading through the pages of personal introduction and explaination at the beginning of the manual. My girls were excited to do the same. As I moved on into Part 1, Ancient Egypt, I found a validating and encourging "note of caution" on studying this culture. Michelle described just what I had been feeling as I was "dancing on eggshells" presenting this material. After a lively discussion of this with my girls, we put a perfect polish on our study and understanding of Ancient Egypt. We began reviewing Ancient Egypt’s culture in Part 1, finding several of the books we had already read included, and reviewing those together, then discussing the thinkwrite exercises. In Part 2, we tied together the history in discussions of specific periods, and pharoahs. Part 3 was instrumental in tying together our study, however. We went through Hebrews in Ancient Egypt, discussing Joseph and Moses. We had listened and really enjoyed Cat of Bubastes by G.A. Henty audiobook before, and it really brought about some great imagination and rich discussions about this culture and the Hebrews, among other things. So we have just finished polishing off our Egypt study, and Truthquest has been instrumental in providing my girls with "learning civilization as God’s truth, and realizing the only source of freedom is God’s laws, and the only source of human worth is God’s love for us." Sound like something you’d like your children to experience? Here it is! So, onto Ancient Greece. So far, we’ve been through an introduction to the culture by watching Dave Stott’s Drive Through History, which we had and Morgan has already been through. It’s a really fun resource for overviewing and touring the culture. Several of the resources I already had collected, including the Famous Men and Greenleaf guide are recommended resources, so we are all ready to go!! We will probably start with a salt map, since we found this really cements where we are going in place. Stay tuned for updates and pictures!! For a timeline of era and to select study, check out this resource. There are also three levels of American History written for younger students. These manuals are all adaptable and include literature selections for all ages. That’s one thing that makes them so useful and appealing to homeschool study! There are many resources included for cooking, crafts, art, activities and many other things to richly bless your HIStory studies. At $24.95 per manual, these are truly a homeschooler’s dream. Go learn some REAL HIStory with your kids! Really Great Toys for Really Creative Kids! Best action figures and critters on the planet!! My family has loved Schleich for a few years now. We have many of these figures, and I must say about half of the kids’ Christmas gifts this year came from Schleich, LOL. They really enjoy the knight collection, castle, and both girls received a fairy treehouse from Grandma and Grandpa this year. We have barns and stalls and unicorns and critters of all sorts from them too. The kids were in total disbelief when I said "WOW! Guess who has come onboard for review?" So what do we like so much about these figures? Well, the attention to detail is really incredible. Most of these animals and figures are fairly anatomically correct, size and shapewise. They are super-durable and the colors are really true. My two horse-crazy girls have collected quite a bunch of all brands of horse figures (and all kinds of other critters) great and small. These figures enjoy a rich and full imaginary world, where many end up in the veterinary hospital for broken legs or other body parts. While casting broken body parts of my toys when I was a kid is among some of my fondest memories, it can be heartbreaking too for a kid to have a whole collection of broken pieces. 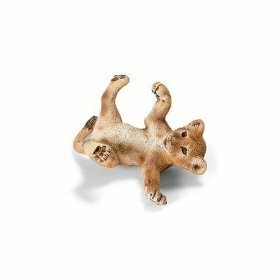 I am happy to report, however, that our veterinary hospital has never treated a broken leg on a Schleich animal of any species!! We love our Schleichs. I’m also happy to have found such nice quality toys that I am proud to give as gifts. When the girls bring out their "brand X" figures to play with, it’s really nice to have the Scheichs for the three year old to join in with so the girls don’t have to worry about him breaking their toys. I’m so happy to report these guys are all getting along nicely here at the Gunn/Schleich farm and zoo sanctuary. 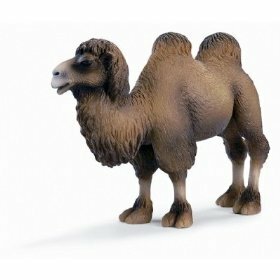 Taylor says the Schleich cowboy is really enjoying trying to ride the camel, and the knights are enjoying their new "war-elephant". The pigs seem to have adopted the fairy treehouse as home, and the lion cub has been adopted by the jaguar. The foal, of course, is right at home on the ranch. We just bought some of the new stuff including the cutest chickens and chicks at Tractor Supply last week. 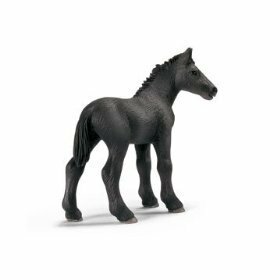 There are lots of places online to buy Schleich, and Target also is a favorite place to get our Schleichs, but when we visit TSC to get feed or other ranch supplies, we often throw in a couple of new Schleichs. Look at all the cool new stuff here! 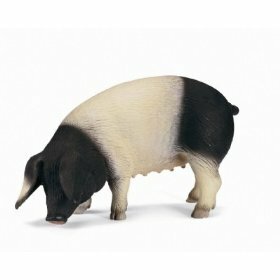 Thank you to Schleich for making such great playfigures! Ten thumbs up from Gunn Ranch Academy!!! GO PLAY WITH YOUR KIDS!! I think everyone knows by now how very much we LOVE the Critical Thinking Company at our house. I was ever-so-thrilled to be chosen to review yet another of their products. With all of their products that we have used and love, we have never had the chance to see or use Mathematical Reasoning. We received Level C, which is labeled for Grade 2. Taylor is a bit above this level, but really seemed to enjoy looking through the book for review. She said "this doesn’t really seem like math, are you sure this is really a math book?" She particularly enjoyed the way it incorporated "boring old problems" into fun exercises, like completing a dot to dot picture by finding the answers to addition problems. Morgan mentioned that she sure wished she had been able to work in this book when she was doing second grade work! This book can be used for a core curriculum, or as a supplement, as it is written to the standards of the National Council of Teachers of Mathematics. Taylor and I both immediately commented on how colorful and "fun" the pages looked. Most of our math so far has been boring old black and white problems with no illustrations, so this book is really a treat for the visual learner. The book covers a wide variety of the typical subjects one would expect a second grade math program to cover. You can see the list here. It follows the same critical thinking style of focusing more on "how" to solve the problem than just getting the answer. This book helps children devise strategies to solve a wide variety of math problems. You can see samples of the activities here. I was so impressed by this series and have really been trying very hard to find some appropriate learning materials for Levi, that I ordered Mathematical Reasoning Beginning 1 for age 3, and Beginning 2 for age 4. I also received the Beginning Mathematical Reasoning book which is for ages 3 and 4 in the preschool book bundle(which includes 9 of their awesome preschool age books)I decided to purchase to use with Levi. Now these preschool Mathematical Reasoning books are truly some of the greatest preschool material I’ve ever laid my eyes on. Levi was soooo excited to have his own schoolbooks; I was thrilled beyond words when he was pointing out the colors and shapes and having so much fun answering the questions correctly. To tell you the truth, I wasn’t really sure what he would and wouldn’t know as far as answering questions, and I was truly surprised and proud at his understanding of putting together the colors, shapes, and numbers, and especially his listening skills for finding the correct combinations asked for. I just can’t tell you how much we love these Mathematical Reasoning books. I’m so especially grateful to have found these preschool ones, as they are just exactly what I needed for my little guy. I have never been disappointed with anything I’ve received from the Critical Thinking Company! The Level C Mathematical Reasoning book can be purchased on the Critical Thinking website for $32.99, and the Pre-K ones for $29.99. If you don’t already have many of their resources, and are looking for a really great combination of things for a certain grade level, I highly recommend checking out the book bundles ; especially if you are looking for some really cool stuff for your preschooler to do! We don’t have much of their software, so I think that might just be our next big Critical Thinking adventure! Go think with your kids!